Bloomfield, NJ – April 8, 2019-Global Pack Source promoted Cody Menk to National Sales Manager. Menk will be responsible for spearheading Global Pack Source’s growth on the West Coast. His position will focus on more face-to-face interactions with clients in the cosmetic and HBA arenas, both categories which represent exponential growth for Global Pack Source. “I am looking forward to bringing the exceptional customer service Global Pack Source is known for to our growing clientele on the West Coast. Cultivating long-term partnerships is an essential part of growing our business so being able to easily meet with our customers will allow me to showcase what makes Global Pack Source stand apart from our competition,” Menk said of his promotion. 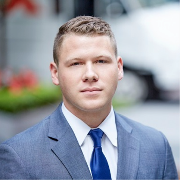 Before joining Global Pack Source, Cody was a senior sales consultant at Oliver James Associates. Cody consistently demonstrates leadership by orchestrating profitable sales initiatives and creative customer development programs. He is an asset to Global Pack Source’s growing sales force as well as to his customers. Global Pack Source provides packaging solutions for pharmaceutical, food, cosmetic, personal care and industrial products. We specialize in providing high quality tubes, bottles, jars and cans that adhere to the strictest manufacturing standards in the industry. If you would like more information about this topic, please call Nancy Kopilnick at 973-396-9230, or email info@globalpacksource.com.